A fantasy world of fashion to raise fund by launching the launched the All for Children initiative with UNICEF back in 2009 with a $4.5million donation to help children in some of the world’s poorest communities. This autumn’s All for Children collection is a chance for customers to make a personal contribution and help UNICEF give children a better start in life through early education and development. 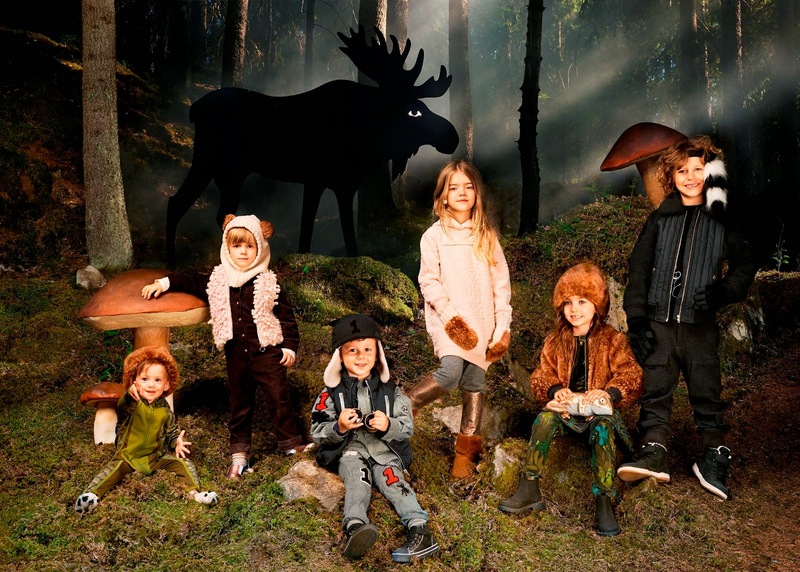 This year’s All for Children collection at H&M offers an innovative new way of dressing up, creating a fantasy world of pieces with a contemporary edge. The active wear-inspired collection is for children of all ages, and will be available from October 30th in selected H&M stores worldwide, as well as online. 25% of the sales price from the All for Children collection will support UNICEF to help the most vulnerable children have a better future through education. The collection is like an adventure into the woods, with pieces that use colour, texture and print to reflect the nature of the forest. The results are perfect for autumn play, like the padded down gilet that comes with a reflective feather print, while a terry sweatshirt with bat wings glows in the dark, and a jacquard-knit poncho is decorated like a folkloric owl. Functionality is important in the collection, such as the coated cotton parka with a pile lining, thermal under layers to help keep kids warm as the temperature drops, and a reversible blazer with a reflective insect print. Accessories help to create a total fantasy world, from gorilla gloves, beetle bags and a raccoon’s tail. H&M launched the All for Children initiative with UNICEF in 2009 with a $4.5million donation to help children in some of the world’s poorest communities. Initially concentrating on southern India and Bangladesh, H&M’s support to UNICEF has so far positively impacted the lives of over one million children. This autumn’s All for Children collection is a chance for customers to make a personal contribution and help UNICEF give children a better start in life through early education and development.